Iheartmexo: I won 2 giveaways! The first one was from Lizzie from cupcakes and cosmetics :) She's so nice! I won Lizzie's 2tru giveaway and received a set of 4 2tru nail polishes! 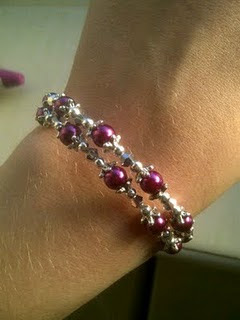 From Sarah I received this beautiful handmade bracelet!